Acid reflux is a digestive disorder that has symptoms including heartburn, regurgitation, vomiting, burping, hiccups and general abdominal discomfort. Acid reflux is one of the most commonly reported digestive problems, affecting more than 60 million Americans at least once a month, but the exact causes of acid reflux are not fully known. Acid reflux symptoms can usually be controlled by changing your diet, avoiding certain foods, not wearing tight clothes, and using over the counter medications like antacids. In rare instances, complications from acid reflux can be serious and may require acid reflux surgery; however, patients looking to avoid surgical treatment can look to what causes acid reflux to determine home remedies and cures that may provide relief. The esophagus is the tube which carries food from the mouth to the stomach. At the junction of the esophagus and the stomach is a ring of muscles called the lower esophageal sphincters (LES). These muscles form a valve which opens and closes to let food into the stomach and gases out of the stomach. In people who suffer from acid reflux disease or GERD, the valve does not always close fully and the LES allows stomach liquids and acid to reflux, or back up into the esophagus and throat, causing heartburn. Over time, stomach acid may cause damage to the lining of the esophagus and result in cancer. The difference between acid reflux and heartburn is that acid reflux is the action and medical condition, whereas heartburn is the burning sensation or pain felt in the esophagus and throat. 3. Dyspepsia and Dysphagia – Dyspepsia describes general digestive discomfort or pain, and Dysphagia describes the sensation that food is stuck in the throat. Acid reflux is a common complaint of pregnant women and acid reflux causes in pregnancy are probably two fold. The hormones secreted during pregnancy to soften and relax the cervical muscles in preparation for birth also soften and relax the lower esophageal sphincter muscles (LES muscles) leading to improper closure of the valve, regularly allowing a reflux of stomach acid into the throat and esophagus. Additionally, the expanding uterus displaces internal organs, including the stomach and the upward pressure of the uterus on the stomach may contribute to acid reflux symptoms, similar to how tight clothing, pants, and belts can also cause acid reflux. While smoking and obesity are not known to cause acid reflux, they are known to exacerbate symptoms of acid reflux. Smoking irritates the lining of the esophagus, which is already irritated by stomach acid and this leads to an increase in the pain of heartburn. Medical researchers and scientists theorize that excess body weight may create increased pressure on the stomach, making reflux symptoms more pronounced in obese individuals. Quitting smoking and losing weight can help alleviate some of the symptoms of acid reflux and offer relief. Furthermore, obesity may also be a sign of a bad acid reflux diet. Eating food too quickly and failing to chew food thoroughly means that the stomach must work harder to prepare the food for absorption by the intestines. In order to liquefy partially chewed food, the stomach produces extra acid which can reflux into the esophagus, creating the symptoms of heartburn and dyspepsia. Eating slowly and chewing food thoroughly makes the stomach’s job easier. Eating small portions throughout the day instead of three large meals also reduces the strain on the stomach. While the role stress plays in acid reflux is not fully understood, the symptoms of acid reflux are worse for individuals who are stressed than for those who are not. Stress triggers a flood of hormones in the blood stream in the primitive fight or flight response. These hormones may slow down or stop the digestive processes so that energy can be redirected toward survival. Slow digestion is one of the causes of acid reflux disease. While the exact causes of acid reflux disease are not known, there is a great deal of information available on the correlation between acid reflux disease and other health concerns. The proper acid reflux diet, eating habits, home remedies, and acid reflux cures will aid in alleviating acid reflux symptoms as will a reduction in stress levels. Most pregnant women find a lessening of symptoms occurs shortly after the child is born. A low-fat, healthy diet, moderate exercise and avoiding stress may sound like a panacea for treatment of what causes acid reflux, but as with many other health problems, a healthy lifestyle can remedy acid reflux symptoms. Once you’ve learned what causes acid reflux and how to identify symptoms, patients can determine the best acid reflux home remedies for them and work towards relief. A great percentage of the population has experienced and is bound to experience, at one time or another, acid reflux disease in varying levels of severity. Acid reflux is a condition in which stomach acids go back up in the unprotected esophagus, causing a number of symptoms that often result in discomfort. As the stomach acids and partially digested food travel back up into the esophagus, it causes inflammation and ulceration that eventually narrows the esophageal tube to make the simple act of swallowing painful. Over time, untreated acid reflux can develop into more serious gastrointestinal ailments like esophageal cancer as well as respiratory diseases like asthma. People who are suffering from frequent heartburn, regurgitation of acid and undigested food, difficulties swallowing, dyspepsia, and other symptoms of acid reflux should consult a doctor to diagnose acid reflux and begin the necessary treatment. Unless the patient presents indications of more serious ailments, a medical interview and a medical history taking would often be enough to diagnose acid reflux. During the interview, the doctor would attempt to uncover the possible factors causing the stomach acids to back up into the esophageal tube so that he can prescribe the right treatment. Biological and Structural Causes – Structurally speaking, acid reflux is usually attributed to the failure of the sphincter muscle to close properly to prevent food and stomach acids from refluxing back into the esophagus. Also called lower esophageal sphincter (LES), this muscle tissue band is observed to weaken in tone and to become impaired in function due to certain dietary substances and drugs, and other complicating factors in the nervous system. A hiatal hernia, or a condition wherein part of the stomach has herniated or has pushed through the diaphragm’s opening through which the esophagus passes, is one of the structural causes of acid reflux. Even with a normally functioning LES, motility abnormalities sometimes force the acids and partially digested food back into the esophagus when the stomach becomes too full and unable to empty its contents. Lifestyle Causes – Some of the most common acid reflux triggers are those involving a patient’s diet, exercise, and vices. Foods that cause or aggravate acid reflux include: foods that relax the LES such as coffee, chocolate, tea, and other caffeine rich foods; foods that are highly acidic like tomatoes and tomato-based products, and citrus fruits and juices; and foods that slow down the digestive process such as fried and fatty foods. Frequent large meals, lying down immediately after having a big meal and wearing tight-fitting clothes exert unnecessary pressure on the LES resulting in acid reflux. Vices like smoking, excessive alcohol consumption, and lack of sleep are also aggravating factors that are believed to compromise the integrity of the LES. Medical and Pharmacological Causes – Those suffering from other ailments like asthma, Crohn’s disease, peptic ulcer, diabetes, lymphomas, cancers, and other gastrointestinal disorders have also been found to have greater chances of experiencing acid reflux. These diseases and acid reflux are treated at the same time with a treatment regimen carefully studied and prescribed by a physician. Some drug interactions can have adverse results that could be avoided by following doctor’s orders rather than self-medicating. Most non steroidal anti-inflammatory drugs like aspirins, ibuprofens, and naproxens, for example, are notorious for causing acid reflux. Other drugs believed to cause acid reflux include anticholinergics, dopamine, bophosphonates, sedatives, antibiotics, calcium channel blockers, beta adrenergic agonists, and supplements such as potassium and iron pills. Although suffering from acid reflux might not be as serious and bothersome at first, the disease could progress to a point where it is persistent, bothersome, and even debilitating to an extreme. Seeking medical attention right away is always advisable to find the right treatment and to prevent serious complications of acid reflux from developing. 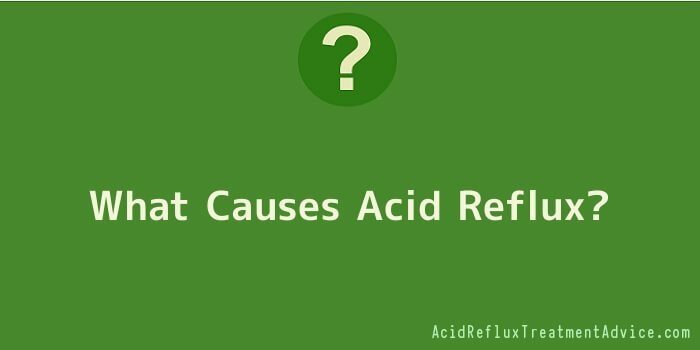 It normally takes only a few weeks or months of medical treatment to cure an acid reflux disease. More treatment, however, is necessary when there is a recurrence of the disease which can happen when the causes and triggers of the disease are not adequately addressed.